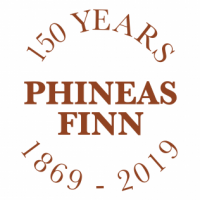 The Anthony Trollope Facebook Group will be holding a Group Read of Phineas Finn to celebrate the 150th Anniversary of the publication of the novel in 1869. Originally published in Saint Paul’s Magazine, October 1867 – May 1869, Phineas Finn was published as a two volume novel by Virtue and Co. in 1869. We will be reading two chapters a day, starting on Trollope’s birthday, 24th April and continuing until 31 May 2019. For details of the Read, and to take part in the discussion visit the Anthony Trollope Facebook Group. If Phineas Finn is remembered a few years hence, distinctly from the other tales in which many of its characters appear, it will owe its vitality to its political sketches.